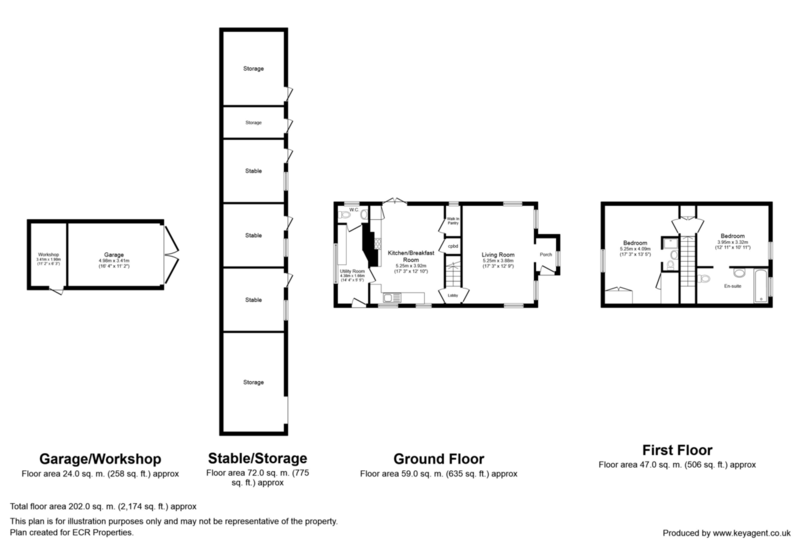 Entrance porch, living room, kitchen/breakfast room, walk-in larder, utility room, bedroom with en-suite bathroom, bedroom with en-suite shower room. Garage, workshop, space for horse box parking and up to 6 vehicles, stable yard with 3 loose boxes, hay barn, tack room and feed room, 20m x 40m professionally built post and rail fenced manège, paddocks with post and rail perimeter divided into four paddocks with permanent electric fencing, around 3.5 ACRES (stms). Colchester 19 miles; Frinton on Sea 1 mile; Thorpe le Soken 4.5 miles; Stansted Airport 49 miles.